This composite image shows the galaxy cluster Abell 521, located about 2.9 billion light years from Earth. 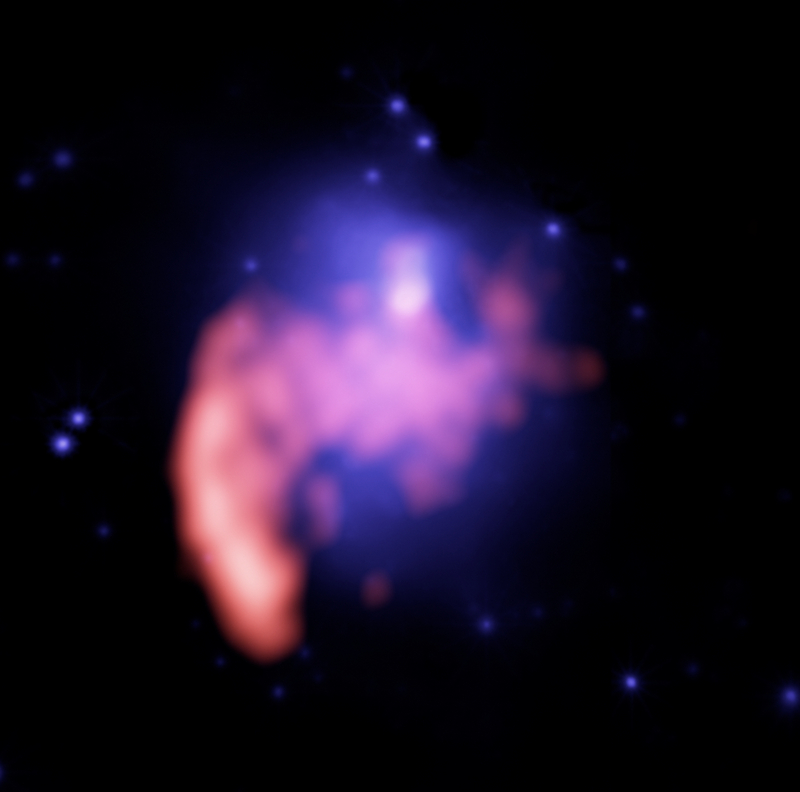 A Chandra X-ray Observatory image, in blue, shows hot gas in the cluster, and an image from the Giant Meterwave Radio Telescope in India shows radio emission in orange. The elongated shape of the X-ray emission shows that the cluster has undergone a violent collision, where another group or cluster of galaxies collided with the main cluster. 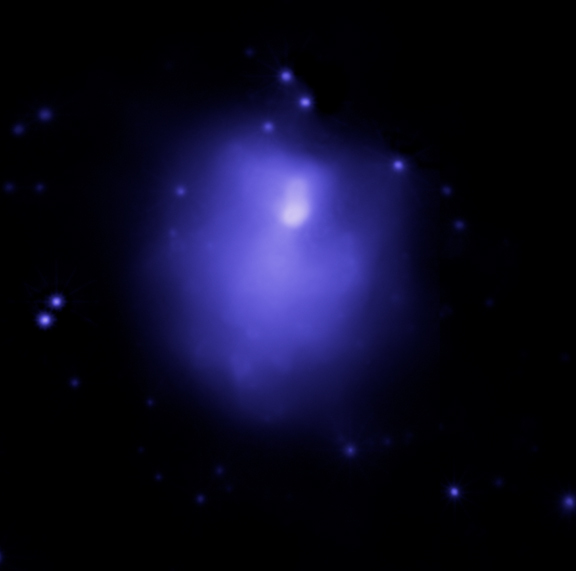 The radio image shows a bright band of radio emission on the lower left portion of the X-ray gas, which is a separate source. The radio emission in the center of the cluster is bright at the relatively long wavelength of 125 cm (as shown), but is much fainter at shorter wavelengths. This variation in behavior agrees with theoretical predictions for acceleration of particles by turbulent waves generated by a violent collision. More observations with radio telescopes at these long wavelengths may result in the detection of hundreds or even thousands of colliding galaxy clusters. Scale Image is 14.2 arcmin across. Coordinates (J2000) RA 04h 54m 08.60s | Dec -10° 14´ 39.00"